In this blog post, I am going to go over basic tips on decorating treats using chocolate. Many of you requested that I make this type of post and I totally understand why. Sometimes, chocolate can be very intimidating to work. Chocolate stiffens. There is hope though! There are several ways to control all these factors that many of us face when decorating with or using chocolate to do dipped treats. I will list the tips that I have practiced over several years time. Let me give you some insight on my background, I worked at a bakery for 10 years. I started my own cake business a few years ago where I would make cakes from home or the bakery (they were super generous-like family to me). I still do cakes and treats out of my home now after getting married and moving to another state. So, you can say I have some experience. I would love to help you all out; if you have questions to things I didn’t cover; please just leave a comment below and I will definitely get back to you! 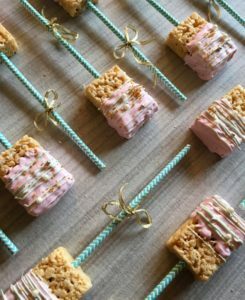 I use Wilton Candy Melts as the chocolate for dipped treats such as dipped rice krispies, pretzel rods, and/or strawberries. This chocolate is found in any supermarket and is about $2.50. I used 2-3 bags to dip 60 treats-Just so you have an idea. 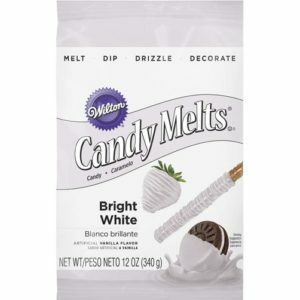 If not Wilton candy melts, make sure you use chocolate that is good for melting-not all chocolate melts well. There are two known methods to melting chocolate-double boiler or the handy microwave. 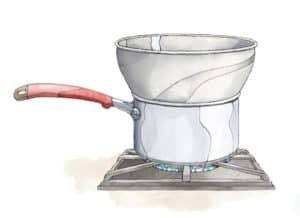 Double boiler: You use a pot that has about a cup of water in it and bring that to bowl. On top of that pot, you get a mixing bowl-cant be plastic folks! Needs to be able to withstand heat-like stainless steel bowl. Take the bowl; fill it with chocolate and place on top the pot with the boiling water. The heat from the boiling water will begin to melt the chocolate. Use a spatula to stir the chocolate till its the consistency you would like. 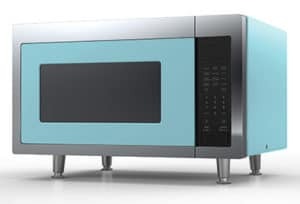 Microwave: Use a microwave safe bowl or Tupperware & melt in 30 second intervals till chocolate appears to be melted. Chocolate never seems to get smooth or liquid enough to be able to coat treats. The best tip for that is to use vegetable oil to thin your chocolate. After you melt the chocolate, add vegetable oil and keep adding it slowly till the chocolate is where you want it. 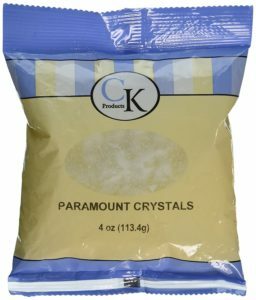 You can also use a teaspoon of paramount crystals which are made of vegetable oil. I just use vegetable oil because I always have it at home. What consistency to look in chocolate for decorating and dipping treats? The chocolate should not have any clumps. The chocolate should have a loose consistency but not runny. Do NOT get any water in your chocolate; even a drop of water or even a bowl that isn’t fully dried that you are using to melt your chocolate can stiffen the chocolate and then you can’t use it. I find it easier to just buy bright white candy melts and dye that with edible food coloring than to buy the chocolate in the colors I need. A small amount of food coloring goes a long way. You can add the coloring before or after you melt the chocolate – either way it works. Organization: I always set an assembly line when dipping chocolate treats. I will lay out all the treats and figure out ahead of time how I want to decorate each one (colors, pearls, sprinkles, etc..). This will keep a minimum mess and keep you organized. Chocolate cools fast so you need to work just as fast to decorate if you need decorations to stick to the chocolate. If you want to decorate using other colors like drizzling green on to a white chocolate rod then you wait till the chocolate is completely dry before using a piping bag to drizzle the green chocolate on top. Some people even use a kitchen utensil to drizzle chocolate too but I think piping bags create more uniform lines. You can see this in my image of the pretzel rods. 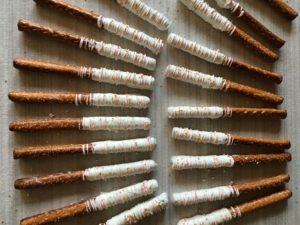 To dip pretzel rods– I personally use a spoon and spoon the melted chocolate on to the pretzel rod on top of the Tupperware with the melted chocolate. Then I swirl the rod around on top of the Tupperware so the excess chocolate drips off then place on parchment paper to dry. To dip rice krispies– I use the same technique as I do with the pretzels; just lightly spooning the chocolate on top. Place on parchment paper and decorate before chocolate dries. 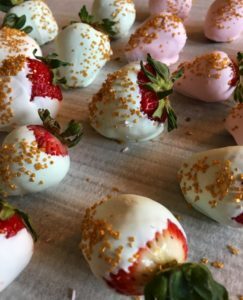 To dip Strawberries – Just dip directly into the Tupperware with the melted chocolate and wiggle excess chocolate off before placing on parchment paper and then decorate quickly. To dip cake pops – make sure your cake ball has completely cooled. Take your desired stick you want to use for the cake pops and add a small amount of chocolate to the stick. Stick your cake ball on top of the stick that has the chocolate. This chocolate will allow the cake ball to stick to the stick haha. Once dry, tilt the cake pop on top of the melted chocolate and either dip or cover with a spoon while twirling it around. Then place on parchment paper to dry. To make chocolate covered Oreo – You need a mold for that. You fill the mold a quarter of the way with chocolate then add your oreo then fill the rest of the mold on top of the oreo with the same chocolate. Place in freezer for a few minutes till completely hardened and pop out. You can then decorate it however you want. Lets say you want to add pearls-take a small piping bag that has chocolate and use the chocolate as a glue for your pearls. Storage-store all your treats in an airtight container and keep refrigerated or in a cool environment. 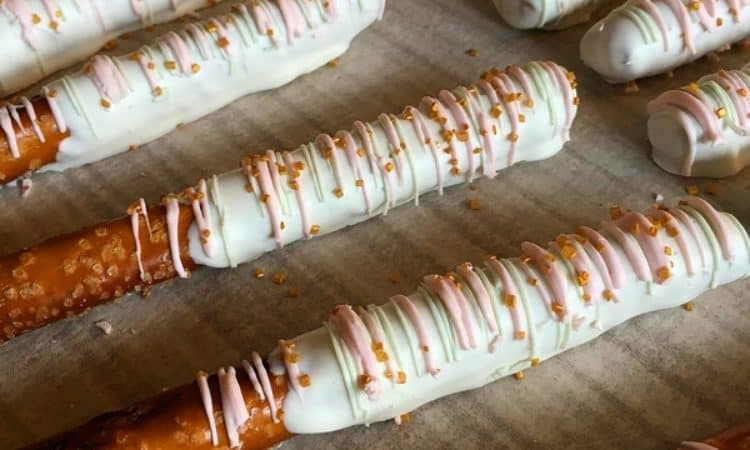 Timing-You can make the dipped pretzels a few days ahead of time but I do not suggest that for the strawberries or the rice krispies. Strawberries juices over time will release and rice krispies always taste better if dipped the day of or 1 day before.